Styled with perry turtleneck and conan pant - long . 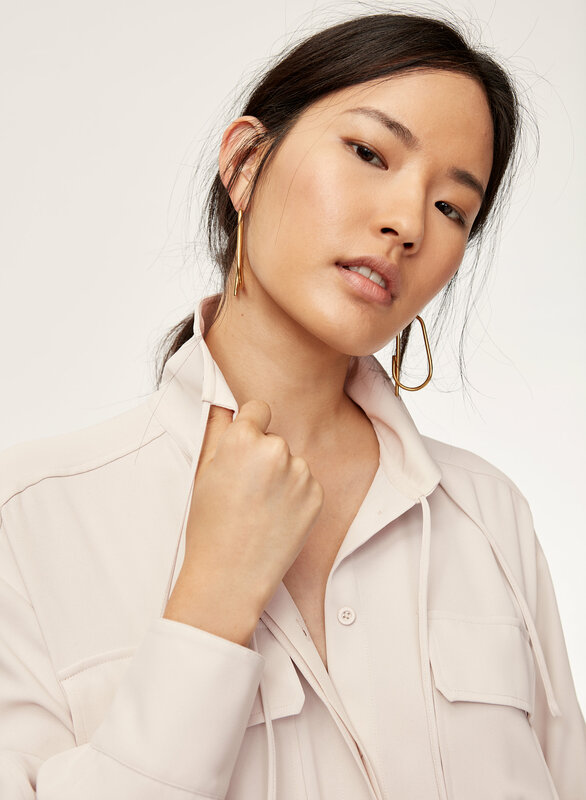 Based on a bestselling dress from the 1—01 Babaton capsule collection, this robe jacket is made with a lustrous satin with luxurious weight and substance. 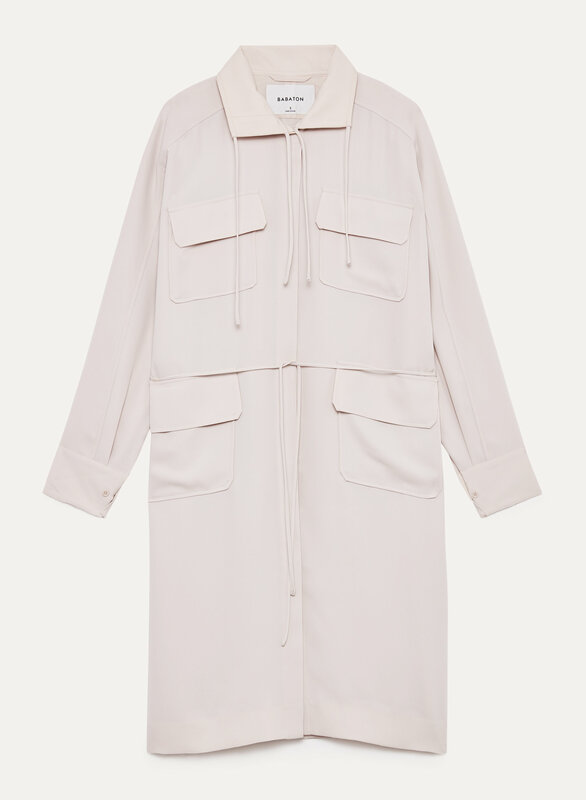 The roomy silhouette takes inspiration from utilitarian design — wear it as a dress or open like a soft jacket. I like the colour,but a little bit too long to me. Bought the red and the black. 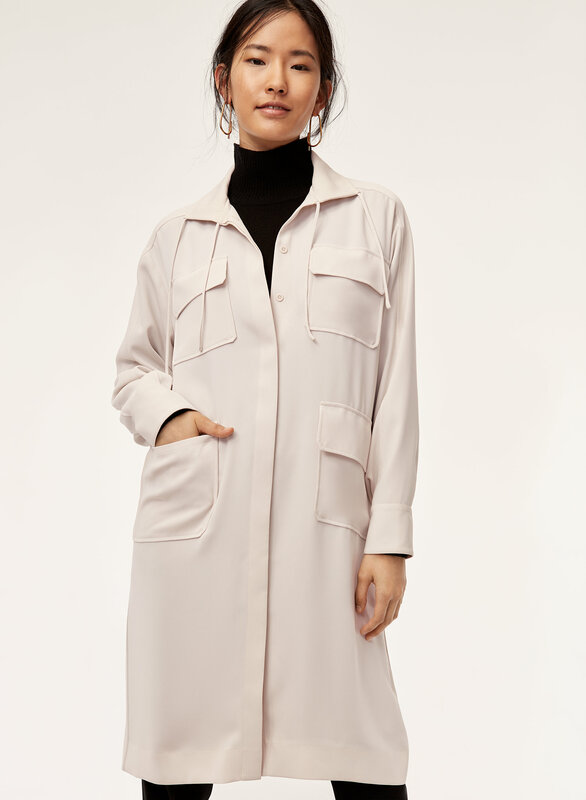 Looks great as a thin coat over pants and a tshirt or as a dress. Fabric feels lovely but can get pulls if not careful but still worth it.